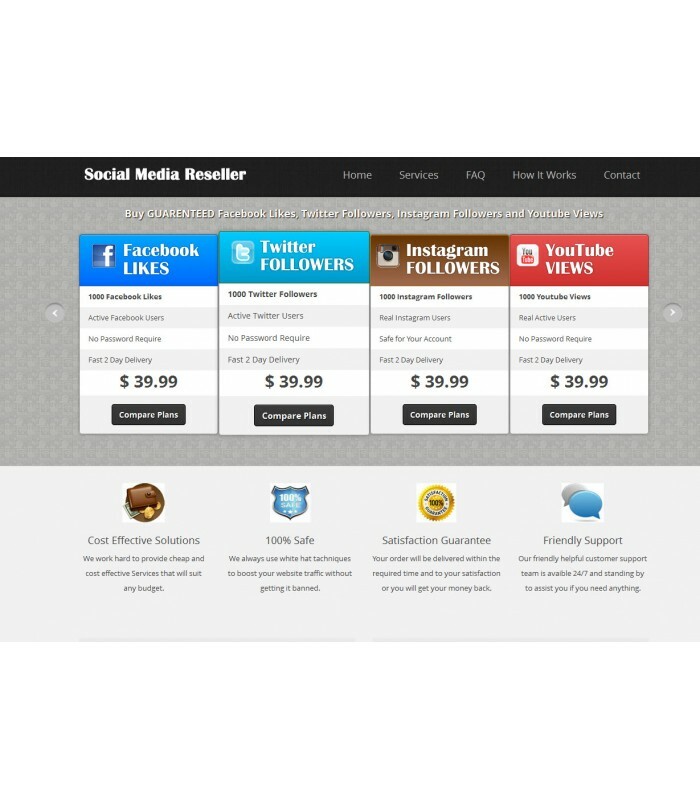 This site supplies Facebook Likes, Twitter Followers, YouTube Views & nstagram Followers. These services are currently very popular and the demand is growing every month! The process of running this business is very simple, literally anyone can do it. Once an order is placed on the website, you will instantly receive payment via PayPal and email stating what package has been ordered. You then forward the order to the supplier and pay their fee. The supplier will then let you know when the order is complete.